Richard L. Becker, D.O. 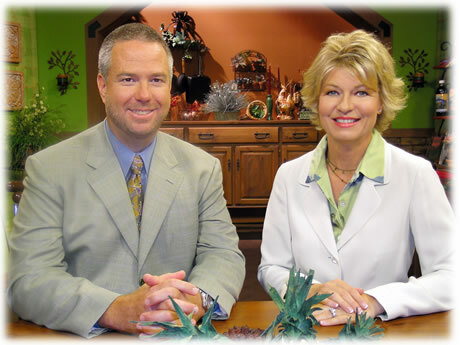 is a physician in north Texas, where he and his wife, Cindy, host the daily television talk show, Your Health with Dr. Richard and Cindy Becker. The Beckers bring a practical approach to health education through timely topics, interesting and renowned guests, and live viewer calls. Cindy demonstrates healthy cooking with easy to make economical dishes for a healthy lifestyle. In 1997 Dr. Becker was diagnosed with Hodgkin’s Lymphoma. During this time of crisis, he and Cindy immersed themselves in the world of natural healing. Their extensive research led to the formation of BIO INNOVATIONS and creating the synergistic combinations found in the BioNutrients brand of dietary supplements, Aloha Noni and Aloha Noni Skincare lines, making them truly revolutionary. Dr. Becker is currently in remission and in good health.